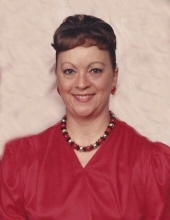 Mary Alice Evitts, age 75 of Glendale, IL passed away on December 10, 2018 at Baptist Health in Paducah, KY.
She was born in Chicago, IL to Mack Arthur and Eula Mae (Cross) Duncum. Mary Alice married Kenneth Evitts on September 29, 1962 and he preceded her in death on November 12, 2012. She had worked as a secretary for SEARS. She was a member of Cedar Grove Church. Mary Alice loved her family and going to church. She enjoyed Hummingbirds and cats. Mary Alice is survived by her three children, Sharon Evitts of Glendale, IL, Arthur (Barbara) Evitts of Wauconda, IL, and Susan (Stephen) Wickman of Glendale, IL; four grandchildren, Haylie Evitts, Kenneth Wickman, Daniel Brown, Kirstin Loeshen; cousins; numerous nieces and nephews. In addition to her husband and parents she was preceded in death by, four brothers and a niece. Funeral service will be at 2:00 pm on Saturday, December 15, 2018 at Cedar Grove Church. Burial will follow in the Cedar Grove Cemetery. The service will be conducted by Brother Matt Snell. Visitation will be from noon until time of service at the church. To send flowers or a remembrance gift to the family of Mary Alice Evitts, please visit our Tribute Store. "Email Address" would like to share the life celebration of Mary Alice Evitts. Click on the "link" to go to share a favorite memory or leave a condolence message for the family.